What sort of books to you like reading? That's a question I often get asked when I'm doing a school visit. Usually I find myself waffling on a bit because I like all kinds of books – children's and adults and often have a few books on the go, so I can always find something to read that suits my mood. Looking back over the last 12 months, I thought I'd pick out a dozen or so books that I've read and which have left a lasting impression one way or the other. I wonder, if you looked back over your reading list for the last year whether you'd discover one particular genre you tend to go for, or if like me, you jump randomly from one thing to another. My two most recent reads are Claimed by Vicky Lewis Thompson, and The Wedding Charade by Melanie Milburne - two saucy Mills & Boons. I've been trying to write a Mills & Boon for donkey's years. I've had some success with other romance stories but a M&B success still eludes me. So as well as enjoying these books, I'm also doing my research too. Everybody Jam by Ali Lewis was another book read during 2012. A friend leant me this book because I needed to get the feel of Australian living and speech for a book I was working on for Penguin. Everybody Jam is written through the eyes of 13-year old Danny who lives on a cattle ranch in the Australian outback where the family are struggling to get over the death of another child. I hadn't expected to enjoy this book, but I did. 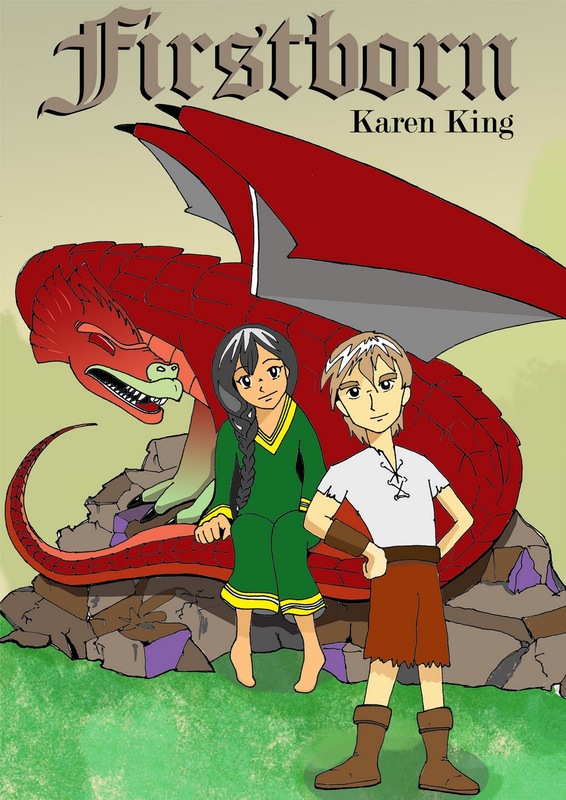 Firstborn, Karen King's delightful dragon fantasy adventure book was another really enjoyable read, and was one of the first ebooks I downloaded onto my new kindle at the beginning of 2012. Another great children's book which I absolutely loved was Katherine Langrish's Dark Angels, and what was so exciting was that I'd read the book without realising it had been written by our very own Sassie Katherine. For some unknown reason, I hadn't looked at the author's name until after I'd finished reading it – doh! It was such a lovely surprise! Indie book The Survival of Thomas Ford by John A A Logan was another great read. John is a member of Authors Electric which I also belong to, and this was just one of the fantastic reads I've downloaded in e-form over the past year. 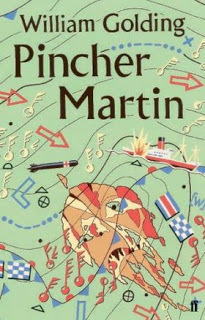 I bought Pincher Martin by William Golding at a second hand book sale held at our Coventry Writers' Group meeting for about 30p. It was first published in 1958 and is one of those books that sticks in your mind. The beginning hooked me straight away, the middle almost drove me mad with frustration at the repetition and difficulties the protagonist endured and twice I put it down deciding I couldn't read on. But read on I did and was blown away by the ending – so much so, that I will read this book again one day. I'm a big fan of Stephen King books although I don't like horror! This year I've enjoyed two blockbuster novels of his. Under The Dome being one, and as soon as I'd finished that I started on 11.22.63. Desperate to get through them, while not really wanting them to end, it resulted in reading long into the wee small hours instead of getting a good night's sleep. 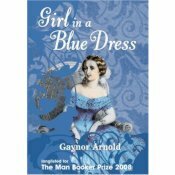 Girl in a Blue Dress by Gaynor Arnold was a fascinating read. I'd not heard of it until I went to a quirky book 'speed dating' event at my local library. It had nothing to do with dating actually, but had that same format only instead of telling people about yourself, you chatted for two minutes about your favourite book. One person was raving about this title which is based around Charles Dickens and his wife, so, so I just had to bring it home with me. At the same event I head about Fatherland by Robert Harris, which is all about the German SAS but it's fiction and its setting is Germany after winning the war. Incredibly thought provoking book that I would highly recommend. But certainly not a 'light' read. And now to Hilary Mantel. Her book Beyond Black was the first book of hers I had read – and loved this beautifully written story of troubled psychic Alison. I then read Giving up the Ghost – a memoir, again a fascinating insight into her life. I'd thought mistakenly that I would love anything that she wrote, but discovered this not to be so. The Giant O'Brien is about a poverty stricken Irish giant who goes to London to earn a living by appearing as a freak. I found it so depressing and was quite disappointed to learn I didn't like all her work. I also tried the multi award winning Wolf Hall which I found too confusing and gave up halfway through - sorry to everyone who loves it! So, a year of varied reading. How about you, have you read any good books lately? Some lovely books to look out for! An interesting post, Ann. I've just finished The Island by Victoria Hislop. It's set in Crete where we went for your honeymoon. Great story. Thanks,Ann. Liked the seeming randomness of these titles when I saw all the titles, followed by enjoying the reasons behind your selection. That's what's so great about books - there are so many different kinds and so many voices. Recently, c/o kindle, I enjoyed a whole season of Donna Leon's Brunetti crime novels books (yes, was in Venice earlier this year) and - not long after - a run though Benson's Mapp and Lucia books. Deliciously enjoyable spite. Both sets were nicely calming during a stretch of stressful & complicated work - though the "click for the next in series" button could easily turn into addictive behaviour. Thank you for your comments - and some more titles to look out for.